As temperatures drop and it gets darker for more hours of the day, our energy bills go up. We stay indoors more to avoid the cold and keep the heating and the lights on for longer. It may be cosy, but doing this all winter will cost you a lot. The sudden increase in energy costs can be a shock after using less energy in the summer. If you already don’t have much money to spare, staying warm and reducing your energy bill at the same time can seem difficult. 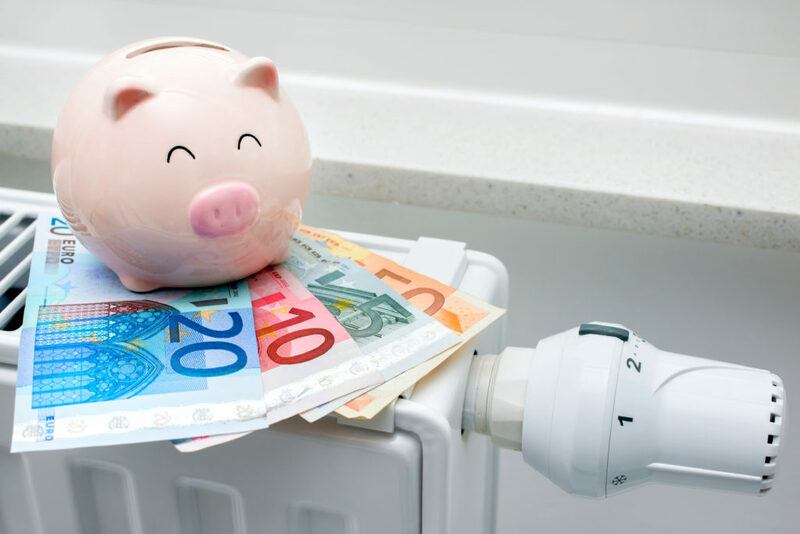 There are several cost-effective changes you can make to help reduce your energy bills in the short-term and the long-term. 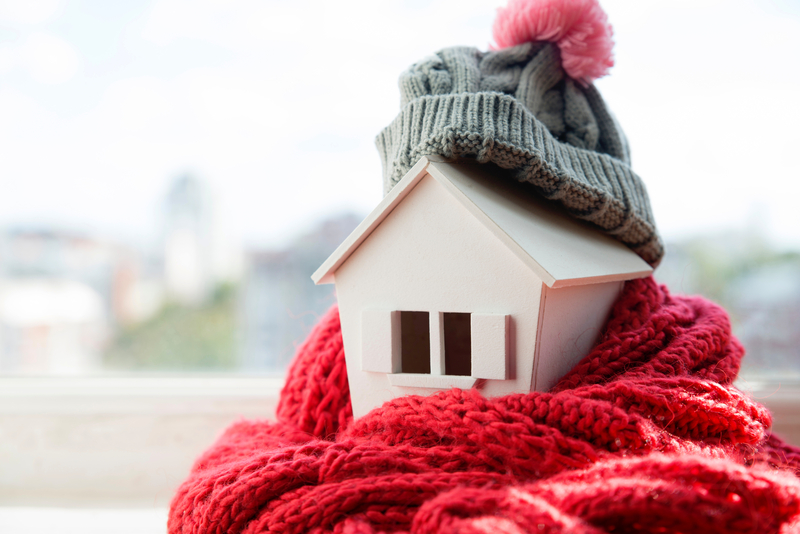 Here are some of the best ways to bring down energy bills in winter. Turning down your thermostat by just 1 degree can actually make quite a big difference. The Energy Saving Trust says that doing this can save a typical household £75 a year. It won’t feel that much colder, but it will use less energy to heat your home. If you can afford to install a programmable thermostat, this is a great way to cut your energy bill. Heating controls allow you to set different temperatures for different rooms, and turn them on and off at certain times. If you opt for a smart thermostat, you could even control it from a smartphone app. For example, you can turn the heating off while everyone is at work or school then turn it on just before you will get home. You can keep a comfortable temperature without wasting heat. When you feel a cold draught it can be tempting to just turn the heating up. Over time, this will cost you more on your energy bill. If you can feel a draught or a chill then it means there is a gap somewhere allowing heat to escape. You need to seal up any gaps you find to keep the heat in. This will keep your home warmer without having to turn the heating up as high. Check your windows, doors, floorboards, electrical fittings, and any loft hatches for air leaks. If you find some, block them up using foam strips, which you can buy cheaply. Use draught excluders to block the bottom of doors. If your windows aren’t double-glazed, you can also get thermal plastic film relatively cheaply to slow down heat loss from the cold glass. Don’t forget to check areas such as letterboxes, skirting boards, and chimneys if you have them. Obviously going out and replacing all your old appliances is more expensive than practical. However, if an appliance genuinely needs replacing, be sure to buy a more energy-efficient model. Upgrading to appliances which use much less energy could collectively save you up to hundreds of pounds per year. Check the energy efficiency rating for your model of television, oven, washing machine, dishwasher, fridge, and freezer to see if they could be costing more to run than other models would. If you have an old G-rated boiler and you can afford to pay for the upgrade, it is worth switching to an A-rated condensing boiler. You should replace any old light bulbs with LED ones. They are fairly inexpensive, use 90% less energy, and last much longer than traditional incandescent bulbs as well. Swap older Christmas lights for LED fairy lights and make your home more festive for less money. Consider installing dimmer switches. Even if you already have energy-efficient appliances, you might not actually be in the habit of conserving energy yourself. Everyone knows the basic tips such as switching lights off when you leave a room. But do you actually make sure to do it? Other things that you should get into the habit of doing include only using your washing machine or dishwasher if there is a full load. You should wash clothes at 40°C or even 30°C, which could cut the cost by a third. Avoid using tumble driers and dry your laundry using an airer or outdoor line. Take showers instead of baths, and take shorter showers if you already do. If you are boiling the kettle, only fill it with the amount of water you actually need. When you cook, put lids on pots so the food will cook faster. Remember to defrost your freezer. Open your curtains or blinds during the day to let in heat from the sun and then close them at night. Don’t leave gadgets in standby mode, turn them off at the wall or unplug them when not in use. There are also ways to keep cosy without turning the heating up. Put rugs on the floors and throw blankets on sofas and chairs. Put on a jumper and thick socks or make yourself a hot drink if you’re still feeling cold. Less than 25% of people actually check their energy bills against their meters and previous bills. If your energy supplier is estimating your bills, they could be charging you more. You should submit regular meter readings to them so they can bill you more accurately. If you find that you’ve been overpaying, you may not be entitled to a refund if you haven’t provided meter readings. Go to your energy provider’s website and they will have guides on how to read gas and electricity meters. You should be able to submit your meter readings through their website, too. Even if they have been underestimating your bills, it’s better to find out sooner rather than later, when you would have a bigger lump sum to pay back. All energy providers should be rolling out smart meters to their customers by 2020. These will take automatic meter readings and send them to your supplier for you, so your energy bill will always be accurately based on your usage. They also come with in-home monitors to help you keep track of your energy consumption. Many energy companies will also allow their customers to pay a fixed monthly Direct Debit. This is often cheaper, and your energy bill won’t go up or down throughout the year and affect your budgeting. You’ll probably pay for more than what you use in the summer, but this credit will build up and cover your increased usage in the winter. You can contact your energy supplier about smart meters or payments. Installing wall cavity installation and loft and pipe lagging is an investment. It is an expensive upfront cost, but can save you around £200 every year after installing it. This also helps you to avoid frozen or burst pipes, which can cause a lot of other problems. The insulation will keep the heat in instead of losing it through the roof and outer walls. Depending on your circumstances and who your energy supplier is, you might be able to get this done for free. Energy companies with more than 250,000 customers have to offer free services to make their homes more energy efficient. This comes under government rules for reducing carbon emissions. Usually, eligibility for this depends on your household income and whether or not you receive certain state benefits. There are some companies who offer to fit such insulation measures to anyone’s home, not just their own customers. However, flats and council tenant properties are not eligible for these schemes. You should contact your energy supplier to find out what they offer and if you are eligible. You can always take a look at other suppliers, too.